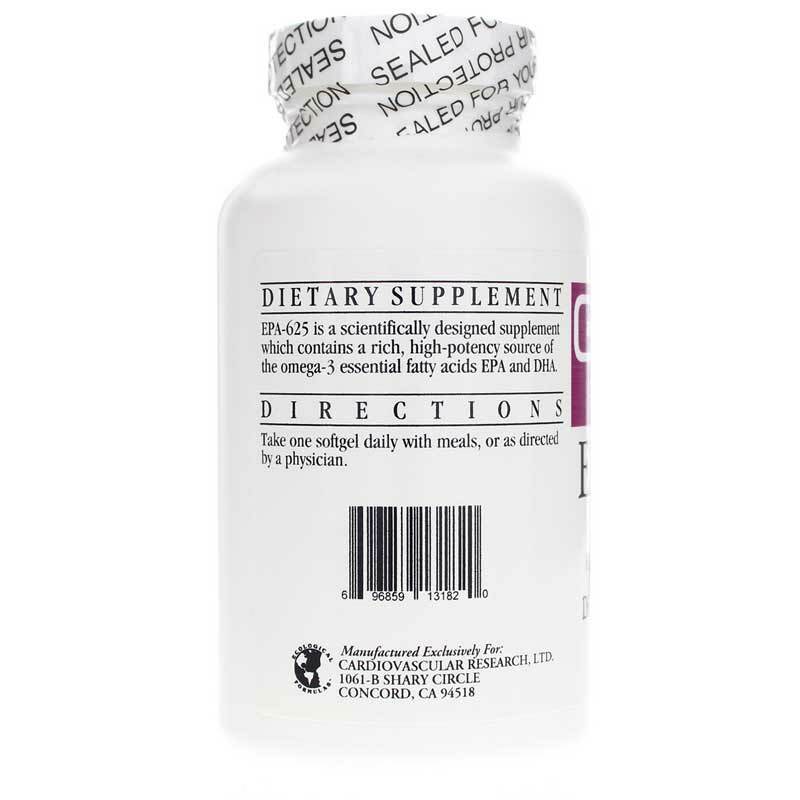 EPA-625 from Cardiovascular Research is a scientifically-formulated dietary supplement that delivers the omega-3 essential fatty acids EPA and DHA, which support the normal aging process of cell membranes, especially in the brain and retina. They also promote healthy cardiovascular function, maintain a healthy immune response, support weight management and more. The body is unable to produce omega-3s on its own, so a diet rich in fish may provide the nutrients you need for optimal health, but sometimes taking a dietary supplement may also help fill any nutritional gaps. Omega-3s may also help with maintaining healthy blood pressure levels that are already within a normal range. 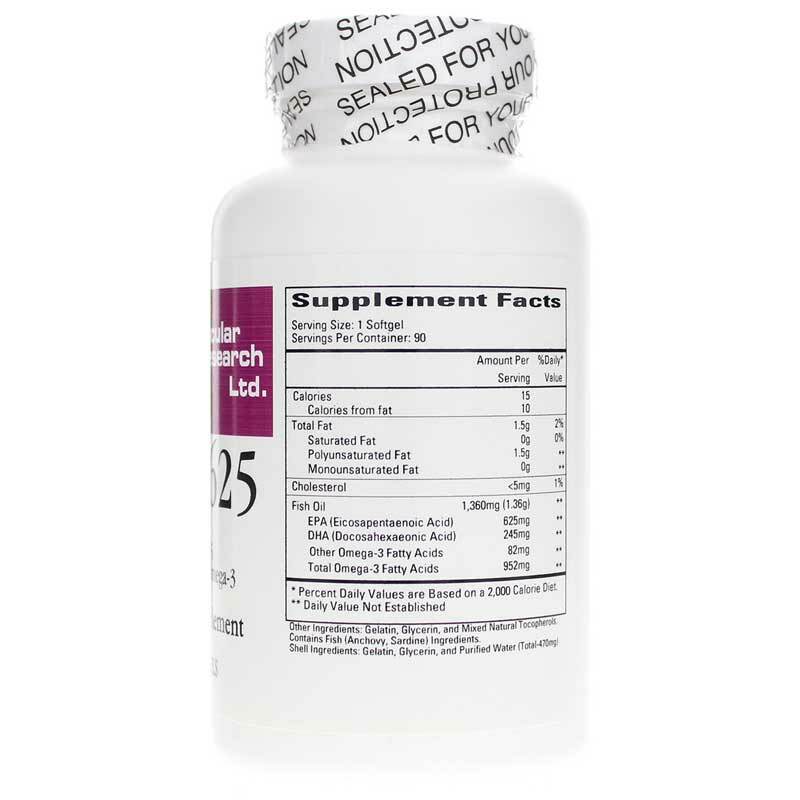 Try EPA-625 today! It may help you achieve your health goals. 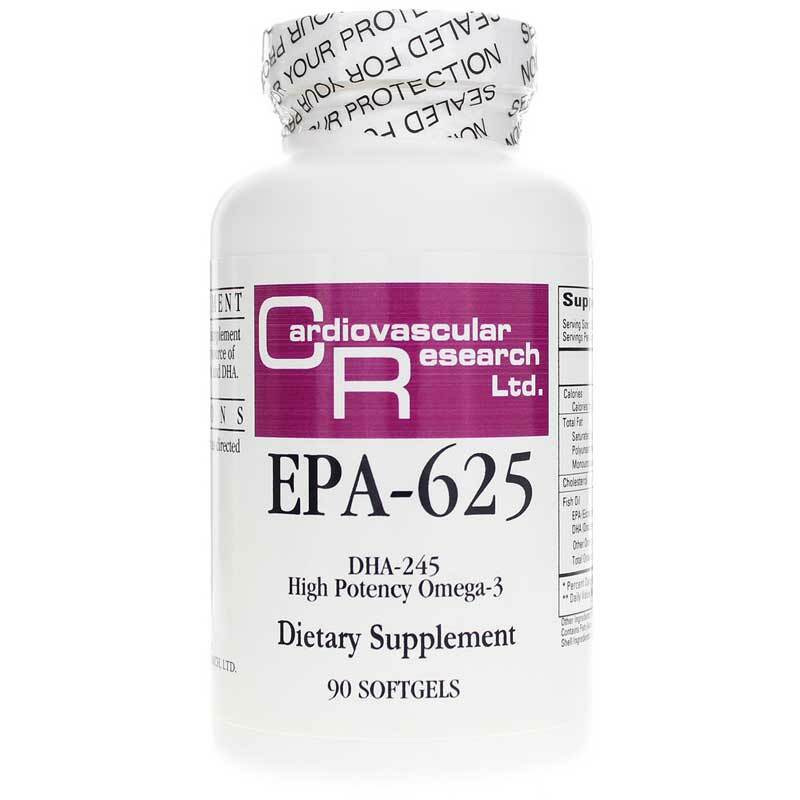 Order EPA-625 from Cardiovascular Research today. It may make a difference to your health! Other Ingredients: Gelatin, Glycerin, and Mixed Natural Tocopherols. Contains fish (Anchovy, Sardine) Ingredients. Shell Ingredients: Gelatin, Glycerin, and Purified Water (Total=470mg). Adults: Take 1 softgel daily with meals or as directed by a physician.